timeline | Apple pie, anyone? Timeline posts are a chance for me to get my life in order. Literally. 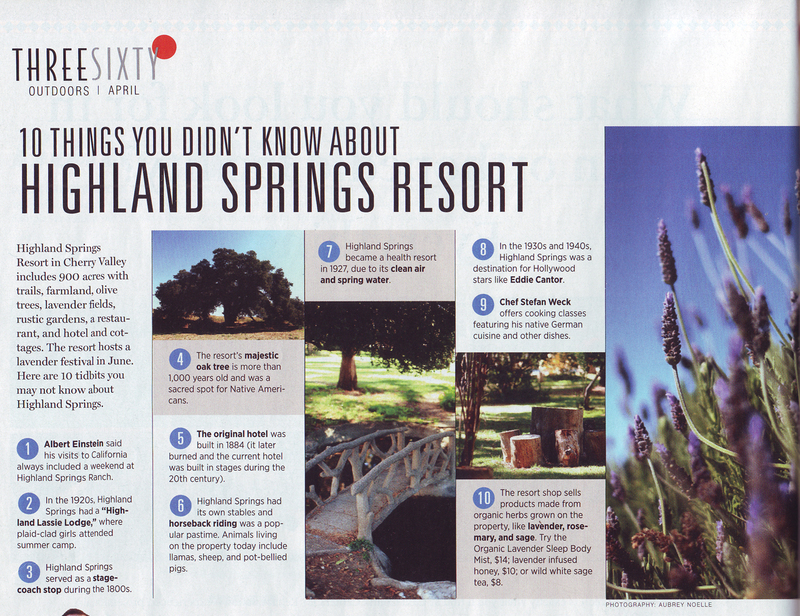 As the Fall semester of my senior year at A&M started, I found myself boarding a plane headed for Ontario, California. 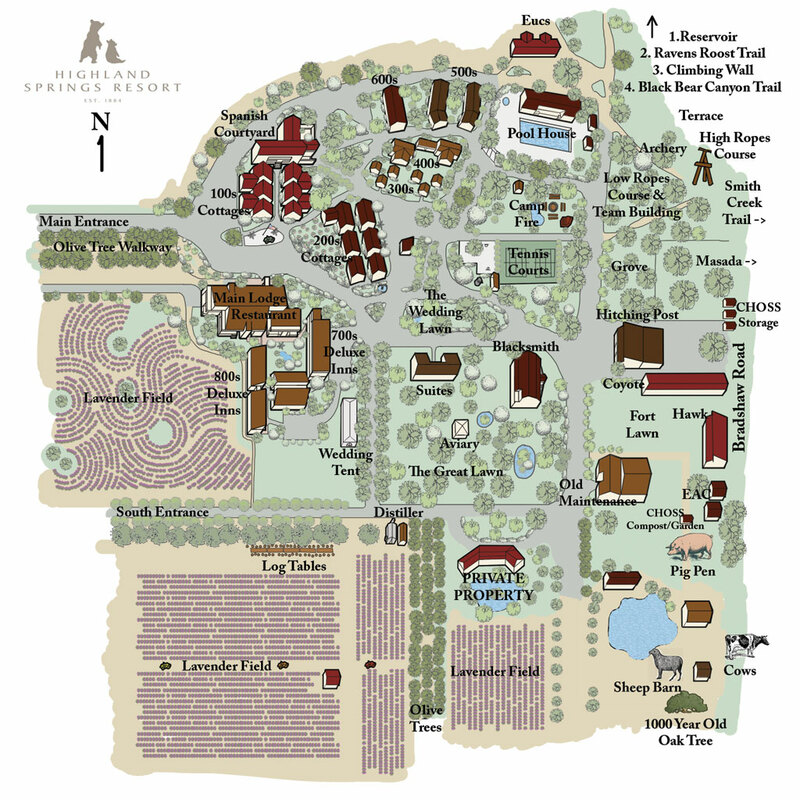 I had accepted an internship at a camp/school in the hills of SoCal. I had no idea what to expect but figured California was a fabulous place to spend four months. If it was terrible, I’d be home by Christmas. The camp was housed on the grounds of a Korean evangelical retreat center and resort. Often, we would be packing up for a weekend in Joshua Tree while serenaded by an a cappella version of Our God is an Awesome God with an Oriental flair. There were horses, ostriches (known to escape), cows across the fence, and an aviary that contained mostly chickens and doves. CHOSS was simply a renter and keeper of the grounds during the week until retreat guests showed up Friday nights. We staff lived in Smurf Huts… little cottages from the 50s (?) with shower heads at about 4ft high. My hand to heaven, there is still a 5-foot long centipede hiding in the walls of my cabin shower. My dislike for showering may, in fact, be traced back to here. I got poison ivy in my blood the second week of training and spent the next month on steroids and looking like death. No matter. Our weekends were spent camping and climbing and hiking in Joshua Tree… or in Sequoia National Park with foot-long inchworms… or anywhere in between. Note: if you’re going to go to Vegas on Halloween, go as a pregnant bride. We were serenaded at every hotel. I was just the family doctor along for the ride in case the vampire Elvis baby came early, but no one ever questioned us. I don’t think the city even realized it was Halloween. I was the designated driver to and from a PHISH concert, I bought my first pair of Chacos (still in service), I was introduced to the beauty of Trader Joes. I went on my first mountain biking experience, I learned to compost, and I experienced my first earthquake and Santa Ana wind destruction. In between weekends, we taught. We all taught. Science and archery and ropes and environmental classes to California’s 5th and 6th graders. I taught rich kids from Beverly Hills (imagine my surprise when Elliot’s mom showed up at my cabin late Friday night early to pick up Gabby for a gymnastics meet the next day) and tough kids from Erin Brockovich’s Hinkley . I held snakes and identified yucca and counted tree rings and preached water conservation. I returned to CHOSS for their spring semester, even after graduating, because I missed my friends- vegetarian though they be. Living with AT hopefuls and river guides and medical school dropouts taught me more about educating children and friendship and tofu than I could have ever imagined. I am so very grateful to still call so many of them dear friends, however far away. In May of 2000, I accepted a job- a salaried job including benefits– with Young Life’s Oakbridge in Ramona, California. It would require me to leave CHOSS a couple weeks before the end of the school year, which automatically enrolled me in the Farewell Hazing Seminar. My hut was barricaded shut by ninjas with my own furniture, I was ambushed at dinner with a traditional banana cream pie, and I was ungraciously thrown in the pool without my bathing costume. I am so very glad I was not on the receiving end of the chicken in the car or the canoe in the bathroom. I do so very much miss you all*. Remember the bridge? And the sheriff? And the gun? Right. Let’s pick it up right after that lil’ episode, m’kay? I simply would not be who I am today had I not made it over that blasted bridge and to Black Mountain, North Carolina. It was the furthest I’d ventured away from home alone for that long of a time. Merri-Mac is a traditional Southern summer camp for girls… swimming, canoeing, diving, equestrian, rock climbing, etc. etc. etc. It’s the kind of camp where you come for 2 weeks or a whole month, and most girls go their whole life. It has camp princesses and Indian tribes (I’m a Choctaw.) and pranks and songs at meal-times and chapel. You can’t get any more classic than Merri-Mac. That summer, I met Sunday and Jess and Annie and Stacey and Claire and Baxter and a handful of others who would play a large part in me becoming me. It was that special, transitional time in college when things started to click… where I went out on my own and realized I was actually ok. I taught rock climbing. My cabin co-counselor put me on a horse and led me over (very, very small) jumps. I drove a fifteen passenger van filled with campers to the local ice cream digs. I sang from the back of an outdoor chapel… alone… for the first time ever (Annie, do you recognize your mom’s handwriting? I still have the paper she wrote out the song for me in case I forgot the words.). I played all summer in the woods with people I did not know, without introductions or history or grand intentions… and I had a ball. Love you girls… miss you. All of you. Were you a camper or counselor any summers of your life? Here’s where the photos get sketchy, because I don’t have a scanner and photos of photos don’t rock. 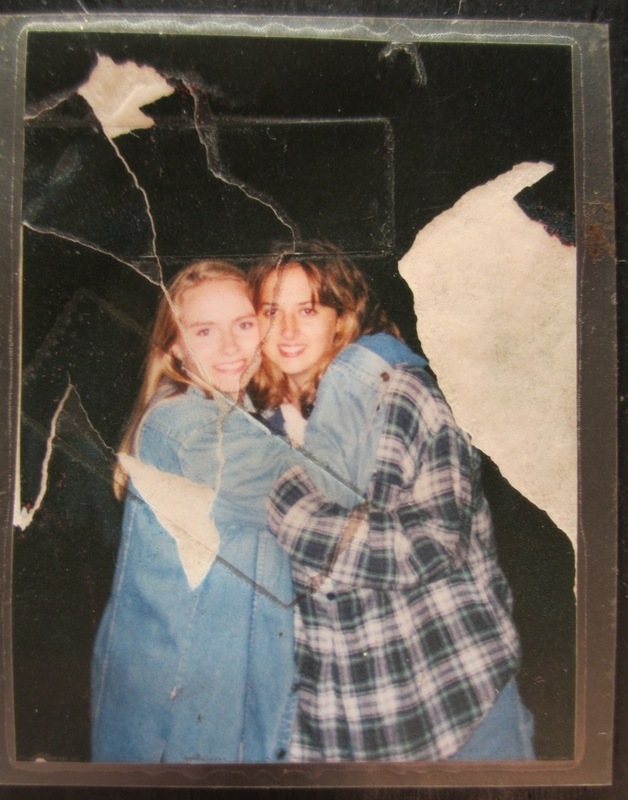 But this one was worth it… Bonfire 1996. Did the over-sized flannel give it away? My favorite photo ever. In 1995, I packed up my little maroon (garnet) s10 pickup and headed 90 miles down Highway 6 to College Station, Texas and Texas A&M University. I entered as a BioMed major, determined to be a pediatrician. My life quickly altered course when I pulled a 1.91 GPA after the first semester (Statistics & Probability, M/W/F, 8am, anyone? I’ll take “Classes Katie made a D in for $1000, Alex.”). 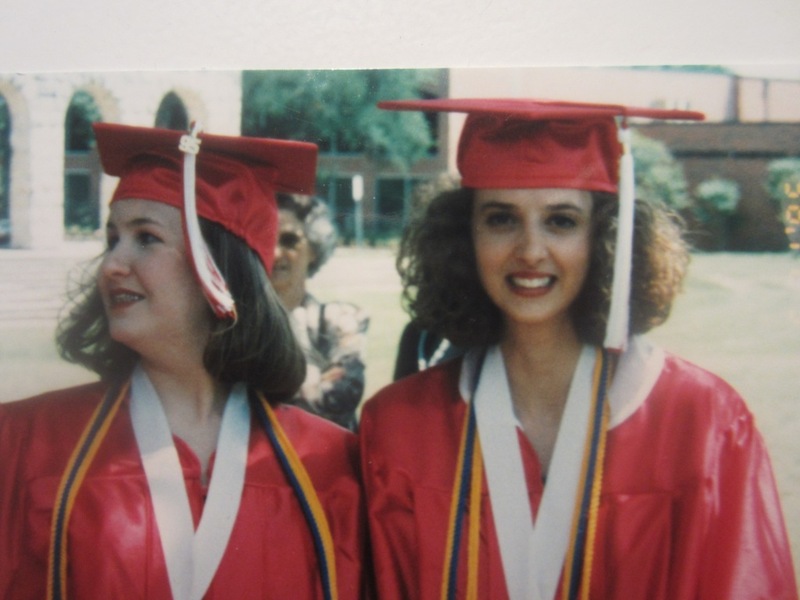 It became obvious that my honors cords had not prepared me for actual test-taking in higher education, and my Belton High straight A’s would not be translating to the college scene. 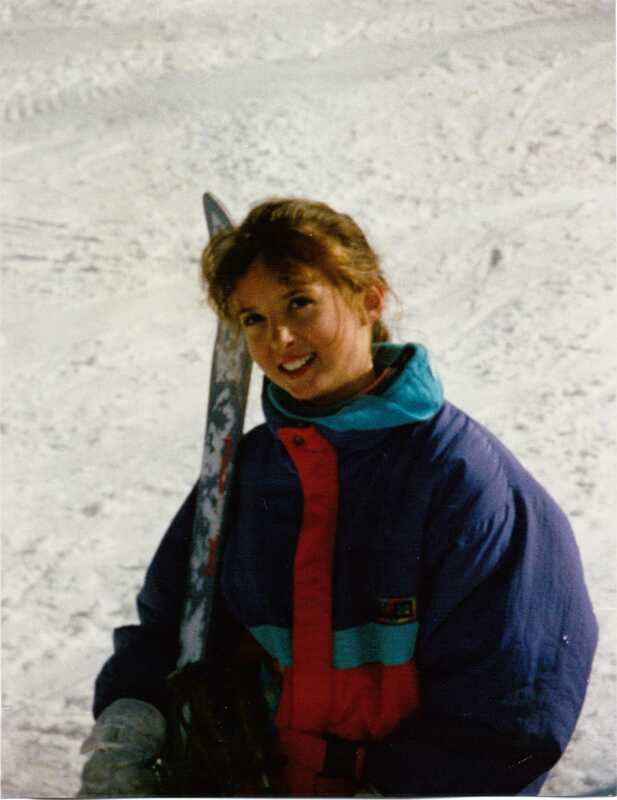 I switched Kinesiology with a focus in Outdoor Education, which- at A&M- was ropes courses. I knew I could teach, but I knew I could not be inside. It was a perfect fit. My only regret is that my major did not include a teaching certificate. I basically majored in awesomeness without any standard of recognition across the USA. But, hey. I was employed for 10 years in my field and that’s more than most can say. 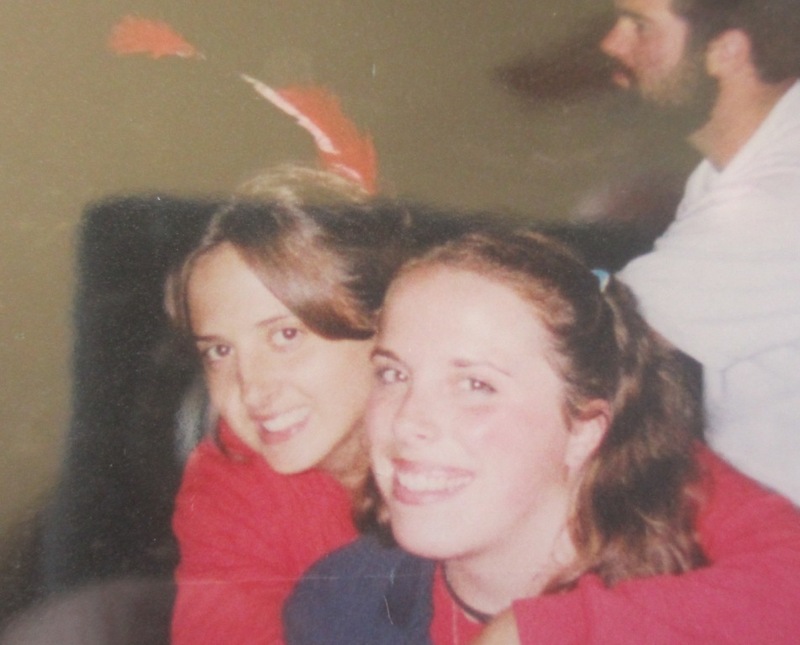 My first dorm was Keathley (Northside) with potluck roommate Lisa who was dating Chris. They both loved Jaegermeister. Not a fantastic start to the living situation, but things quickly improved when Lisa graduated at semester and I pulled in Janna from a couple doors down. Janna introduced me to Dave Matthews and naps, Steph, Erin, Christina, and every other awesome person I ever met that first year. My sophomore year, Janna moved off-campus and I took a job as an RA on the first floor of Hobby Hall (also Northside). My roommate was April, and Mandi lived down the hall. Hi, Mandi! My junior year, Mandi and I moved into the same apartment complex as Janna and the rest of the girls. Our apartment was G4. There was a pool and a playground. I shared a room with Nicole who is now a prosecutor in Hillsboro… watch out. Hi, Nicole! My senior year, Mandi got married and Janna and Christina and eStephanie moved into G4 with me. I worked at TAMU Outdoors for 3 years strapping canoes onto people’s Honda civics and selling climbing gear. Eddy took me to my first dance party- for Ol’ Ags? Right? Hi, Eddy! I sang in a small gospel group called His Voice out of Central Baptist. Lyle Lovett married Julia Roberts and lived down the road. Sometimes, they would go to Olive Garden. 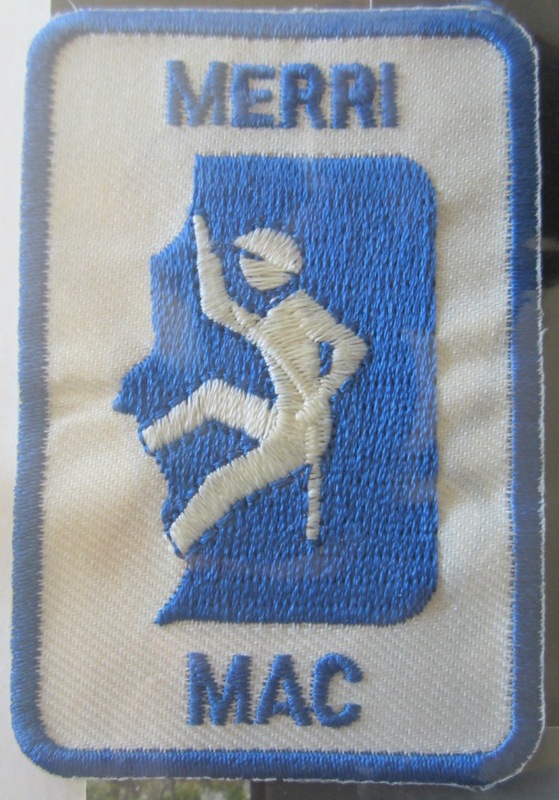 I was a Young Life leader for Navasota High School. Email was brand-spankin’ new… and weird. I remember Heath setting up my account up and thinking, “when will I ever use this?” I also remember that my handle was ‘cinderelly.’ Be kind. I was young. Absolute best time, best people of my life. I worked my way back up from that 1.91 GPA to graduate with a 3.19 GPA. My last semester was a mandatory internship, and I took a job teaching at the Camp Highland Outdoor Science School in Cherry Valley, California. We found a house on 5 acres in Belton about 5 miles from where my life started in the trailer on Dog Ridge Road. My mom started teaching at Nolanville Elementary, where she still teaches today. Danny started 4th grade at Southwest Elementary, while I started 7th grade at Belton Junior High. Jack was still with us. We added Bustar shortly before we knew we would lose Jack in 1991. That basset hound traveled more than most satellites. We also brought over our new, red, 1988 Jeep Laredo which just finally went to its junkyard-Maker about 5 years ago. In October of 1990 (8th grade), my father was sent overseas with Delta Company 1/32 Armor to serve in Desert Storm. He would miss that year’s Christmas photo but returned 9 months later in April of 1991. They let me miss school the day he returned and didn’t count my absence against me on my attendance record. I remember that being a really big deal to me. War. Perfect Attendance. You know. 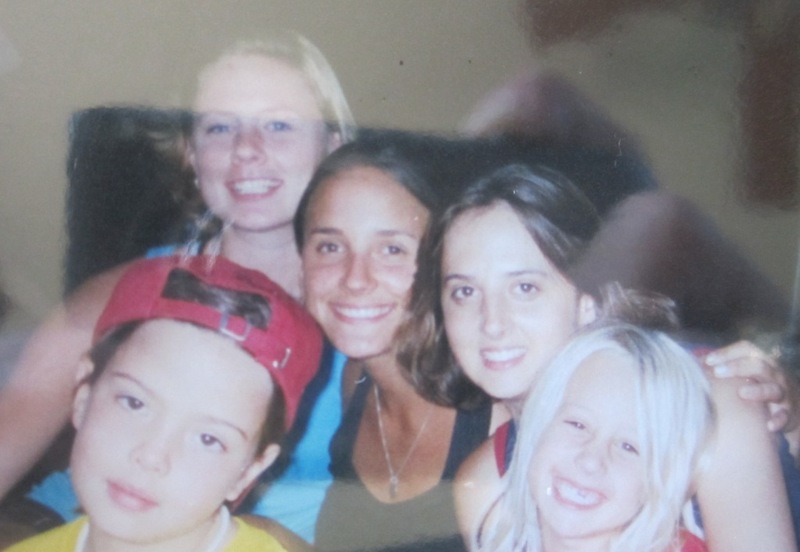 I met Christan and Amanda (and Rachel and Zoe and Teresa…) hours after starting junior high. We would meet before school around the oak tree in the courtyard, wearing our Umbros and white Keds. 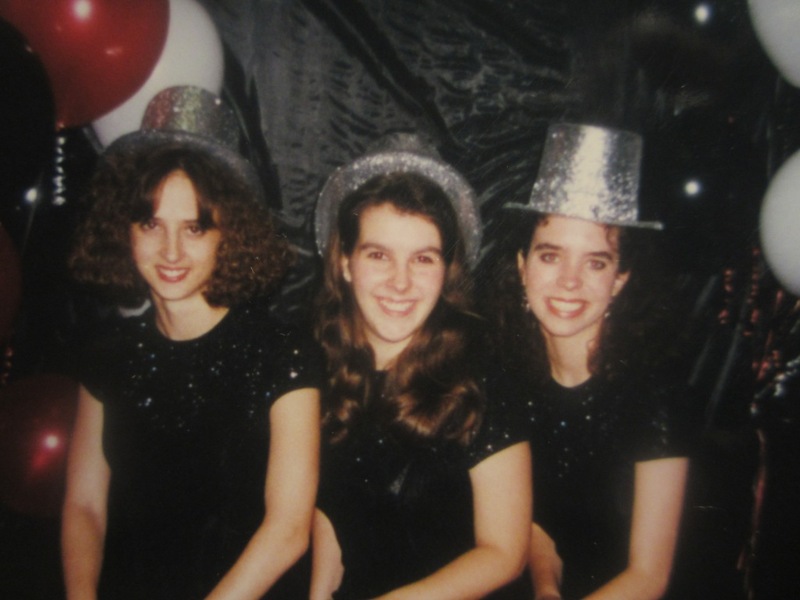 Amanda and I were the only ones to NOT receive an award at our final choir banquet in 1995. We remain close. I met Anna in 9th grade. She is in nearly every one of my high school photos. We went to France together (French Club) and New York (Vicki Boren, Thespians) and Mardi Gras (Kremer and French Club, again). Our parents would not let us drive past the county line, but we could take planes with adults. Anna, what are you looking at? 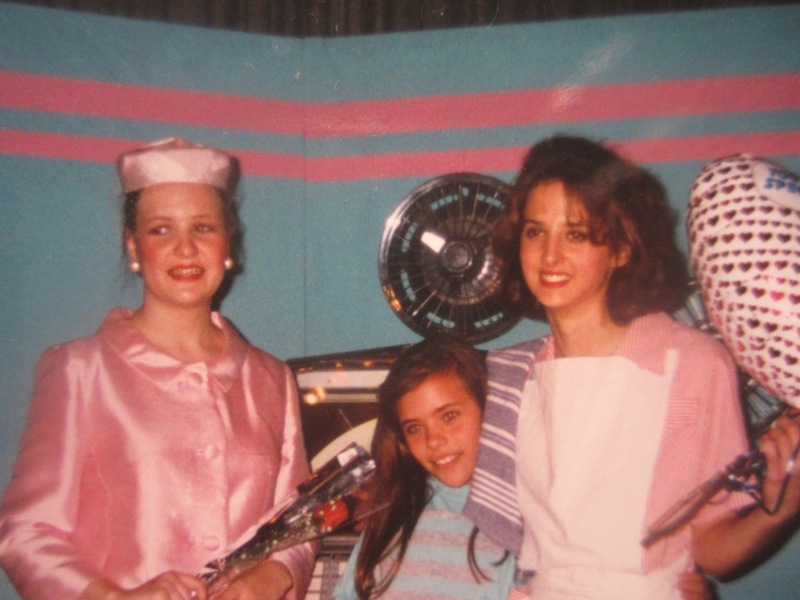 Katie, why all the perms? So many questions from the early 90s. So many questions. I got my driver’s license the summer after I turned 16, the same year my father retired from the military (1993), the same year Clinton was elected to office. I drove a new, maroon, s10 pickup truck… and drove it until it died in 2004. That truck went from Texas to North Carolina to back to Texas to California to Colorado to Michigan. It was hit by Christan’s dad on Christmas Eve, a semi-truck on my mom’s birthday, and a lady in a mini-van on the 4th of July. It also survived me backing out of the garage with the door down (Danny’s fault) and hitting a lamp post base in the school parking lot. It was a good, solid truck. I am still extremely self-conscious in photos. I ruined an entire roll of film and drove my mother to tears by making faces at the last second for this senior photo-shoot… me in my huge, over-sized varsity jacket (for choir, not sports… but you knew that). Using humor to cover insecurity was a new talent for me, and I used it relentlessly. That’s one of our former Christmas trees in the background, planted and happy. Sebecks are recyclers. Sorry about the roll of film, Mom. 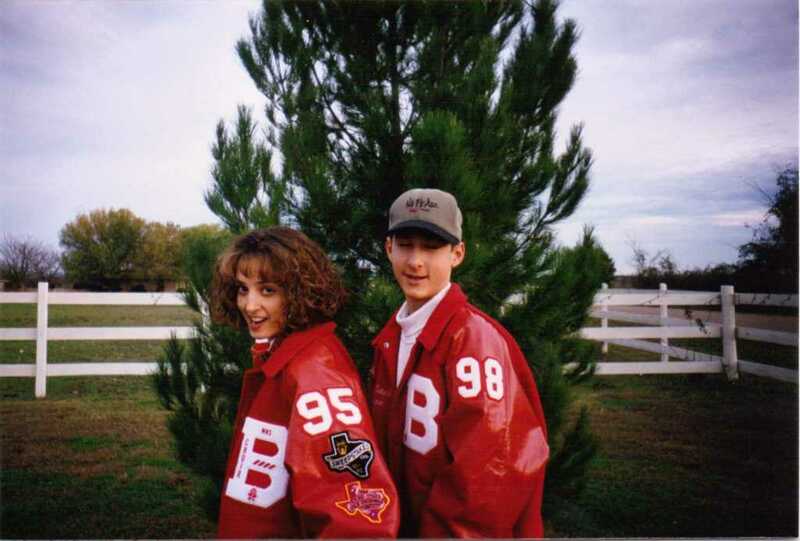 In 1995, I graduated as a Belton Tiger with Honors and Thespian cords. Our class song was Garth Brook’s The River. Our yearbook printed the wrong year on the book’s spine and a DIFFERENT wrong year under our class photo. I’m trying to be less country for you, but it doesn’t seem possible. I was accepted late to Texas A&M University. I had never been on campus and never seen a game. I had spent 6 years in one house, in one school, in one town… my longest stretch ever, and I was ready to move. I took Anna with me, of course. Top used to set me up at a table on the ground floor next to the coke machines to sell my Girl Scout cookies. I like to think it was my fashion sense and personality- not my father’s rank- that put me at the top of sales every year. Double Velcro Reebok Hi-tops, People. Check it. 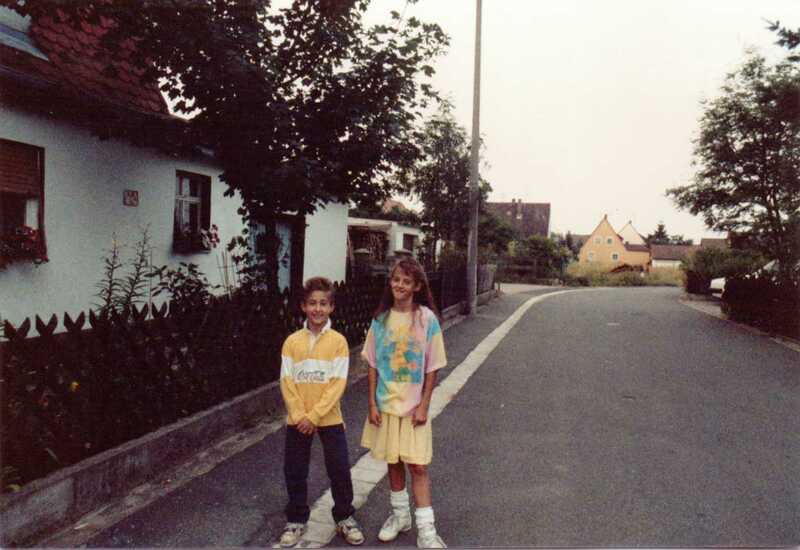 Once again (God bless them), my parents opted out of the ever-shifting environment of base housing and rented a house in the little town of Baiersdorf. Oma and Opa were our sweet landlords; they had a German Shepard. We drove 2 old BMWs with German license plates because Omar Qaddafi had made life difficult for foreigners overseas. We memorized my fathers’ social security number and held tight to our military ID cards as proof of American citizenship. Every day, multiple times a day, our car was checked for bombs at the front gate. Our little post has since been returned to the town and the base has been re-developed. We skied as soon as there was snow and hiked when there was none, sometimes leaving before dawn to ski all day and then return the same night. I don’t know what we actually looked like, but my brother and I felt like pros. Danny was fearless and fast, his ego buoyed by his spiky hairdo. He crashed a lot, and happily. I was slower and did not fall often, but when I did it was spectacular. Takin’ it to the streets, people. Fourth Grade sent me to Ms. Kloss where I would become known for cleaning and organizing the other students’ desks during free time. Once, I left a note in Carrie’s desk saying, “You. Are. Awesome!” and Ms. Kloss called me up to her desk. I cried, thinking I was in trouble but she praised me for making another student feel special with such a small gesture. That idea would never leave me. Fifth Grade brought Mister Jones, who was missing a finger. It was also the first time a boy would send me a love letter. His mom was a teacher at school, too, so he thought it would be safer to put the note in my mom’s teacher mailbox instead of passing it during class. That was un-awesome for me. Subtlety is not in my mother’s vocabulary. You know. In sixth grade, I got the teacher everyone wanted (which NEVER happened to me), Ms. Skoogs. Oddly enough, I remember nothing from this year except that my best friends’ names were Amy and Nicole. I was in every play Mr. Levy directed. We would practice after school and I would walk from the theater (the movie theater on base that doubled as our school auditorium) to the base library where I systematically read every book in the Youth Section alphabetically. 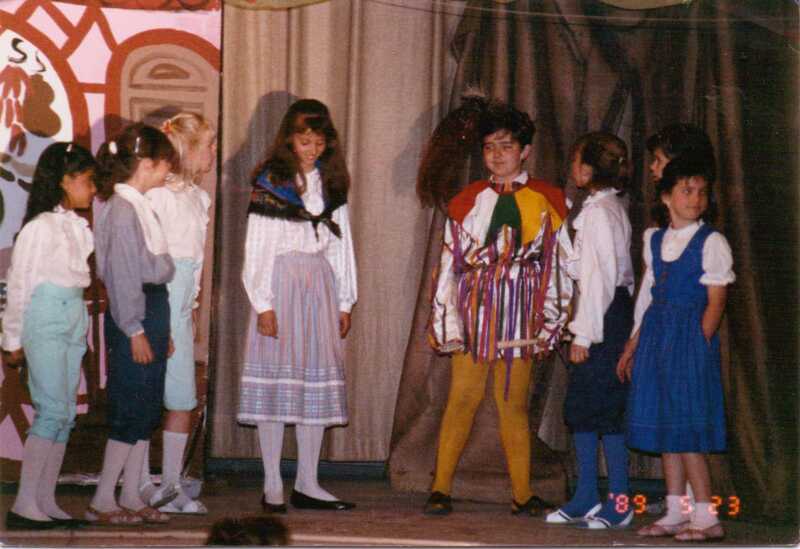 That’s me there in my traditional drindl skirt playing the part of Peter’s girlfriend in the Pied Piper of Hamlin. I don’t believe that role was ever offered again, I was that good. In 1989, my father received orders for Colorado Springs, Colorado. These would be changed, basically as we packed, to Fort Hood, Texas. Did you have to move during your school years? 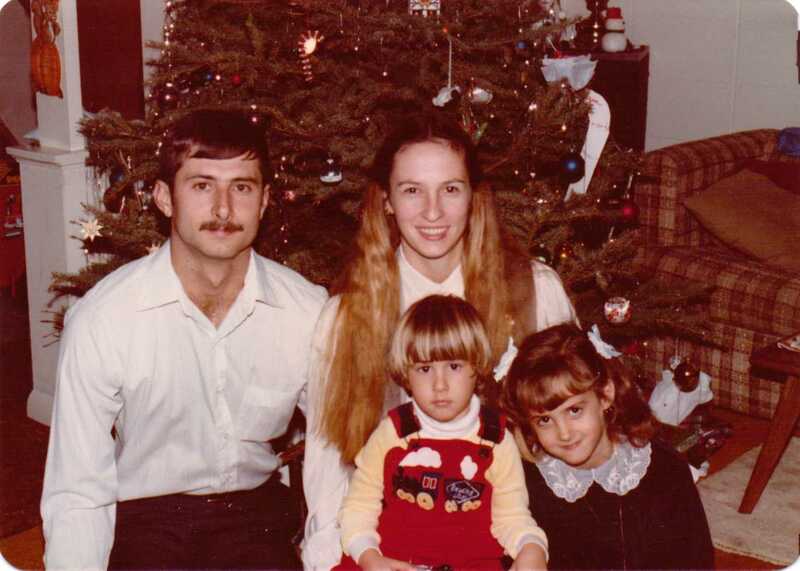 In 1980, my father received orders from the ARMY to head to Fort Knox, Kentucky… and thus, like ya do, we went. My brother came, too. We lived in base housing, or ‘quarters.’ Our address was 5473 D Kelly Street and there was a huge park and sledding hill at the end of our street. In 1982, I started Kindergarten at Van Voorhis Elementary and walked to school everyday with all the other neighborhood kids. My teacher was Ms. McCracken (Silence. I will not tolerate name jokes. She is sacred to me.) and she instilled my love for education and the Kentucky Wildcats. I would become a lifetime fan of both. In December of 1982, my mother graduated from the University of Louisville with a degree in Education (finally inishing what she was in the middle of when I was born). I remember standing at the bottom of a round staircase as she took a cap-and-gown photo with her best girlfriends (Lynn Smith, Mom? Is that a real person?). I also remember being in a video for one of her senior class projects. The soundtrack music was Dolly Parton’s 9 to 5. Go ahead. I’ll wait while you dance it out. Second grade brought Mr. Kirby, and learning to read (times and expectations have soooo changed). It was also the year I went by ‘Mary‘ until Christmas break because I was too shy to ask him to change my name on the attendance roll the first day… and was stuck. This is even MORE laughable because Mr. Kirby was a teacher alongside my mother and certainly knew I had never answered to ‘Mary’ before in my life. God bless that man, he never gave me up until I was ready. 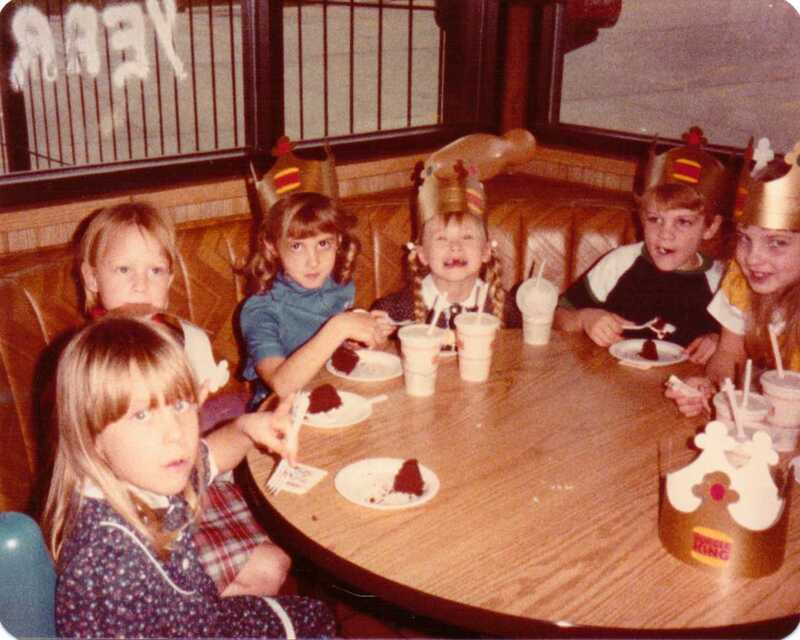 The crowning glory of Fort Knox was my 6th birthday party at Burger King. It would be the one and only time I would have a party like the cool kids at a place with a play-land and vinyl booths. It would also be the only year I would take a birthday photo without crying. For such an occasion, one can only be expected to wear her blue E.T. pantsuit. It had a belt with a silver buckle. The 80’s. The Eighties were a w e s o m e. Hey, Danny? That’s a train on your red overalls over a YELLOW TURTLENECK. I’m wearing crushed velvet. Dad, you are almost smiling. Mom? This is the last we will see of your trademark 70s hair. The summer of 1985 brought new military orders for my father, and we headed back across the big water to (West) Germany again. What was your kindergarten teacher’s name?